SNUBA® was created in Hawaii nearly 30 years ago to enable anyone without a Scuba certification to fully enjoy the natural wonders that lie beneath the sea. 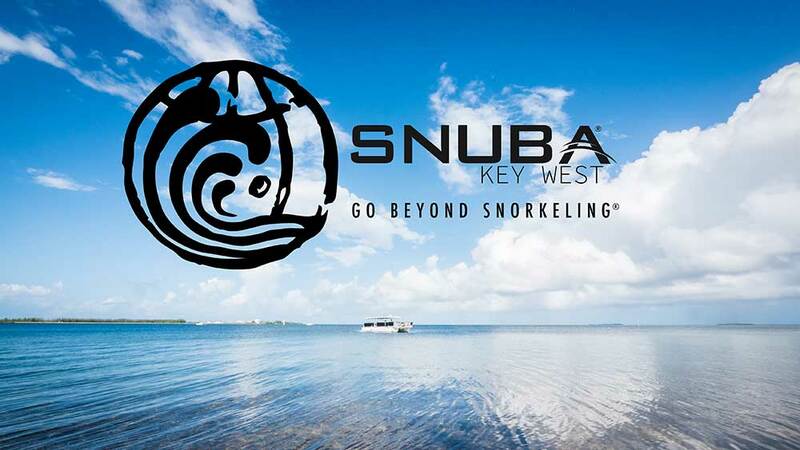 SNUBA® Key West was founded in 1999 and has been continuously serving locals as well as vacationing families on their quest to experience the underwater world for nearly 20 years! 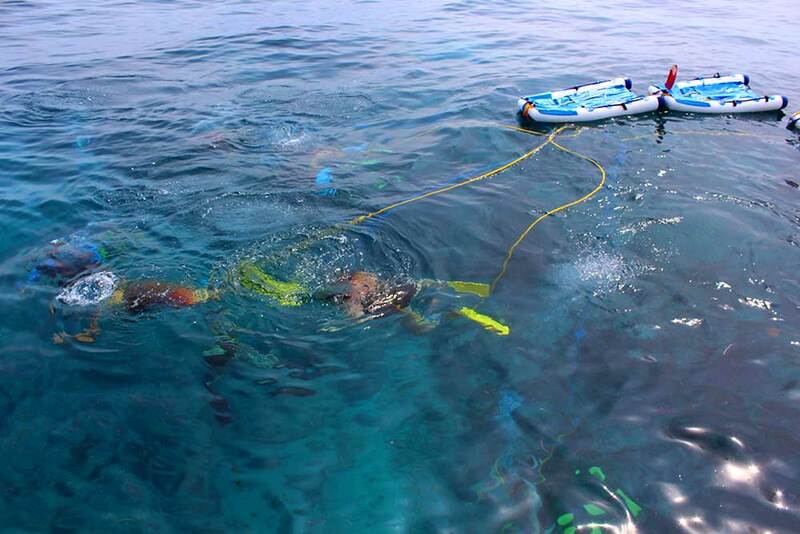 We are the only SNUBA® company licensed to operate in beautiful Key West, Florida. 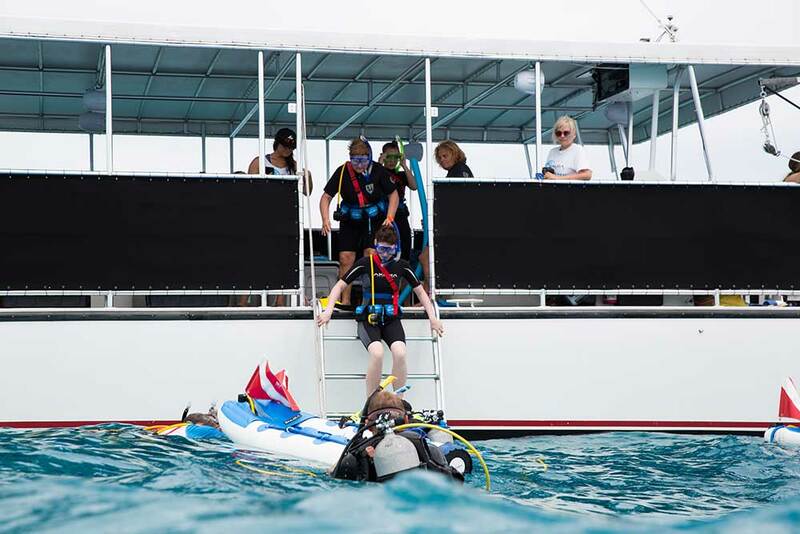 SNUBA® of Key West also services major cruise lines including Carnival, Royal Caribbean, Celebrity, and Disney-introducing thousands of cruise ship guests to diving each year! 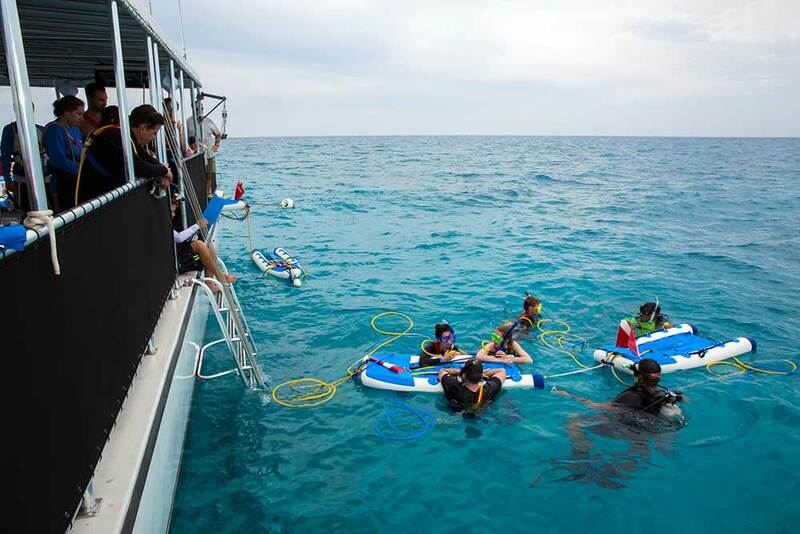 Learning to SNUBA® is easy and does not require any certification or previous experience. 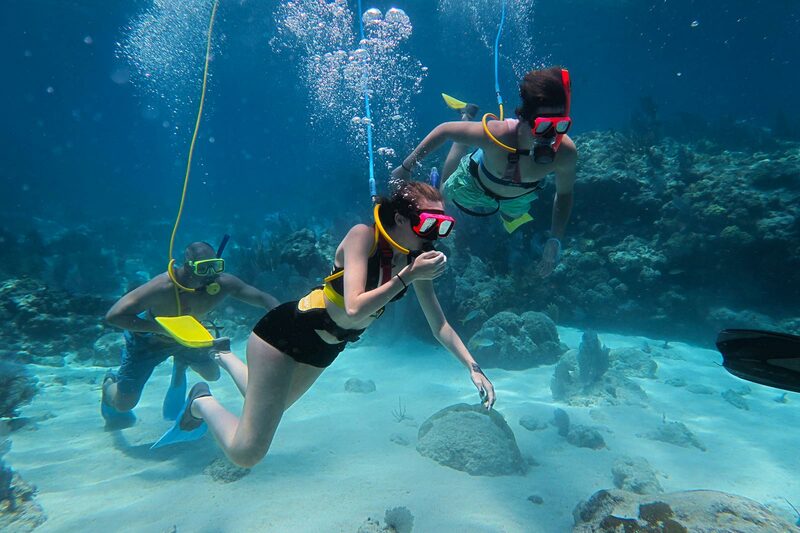 Even if you have never been snorkeling and possess only the most basic swimming skills, SNUBA® is available to you! This activity is designed to accommodate couples, families, children over 8 years old and seniors of all ages. 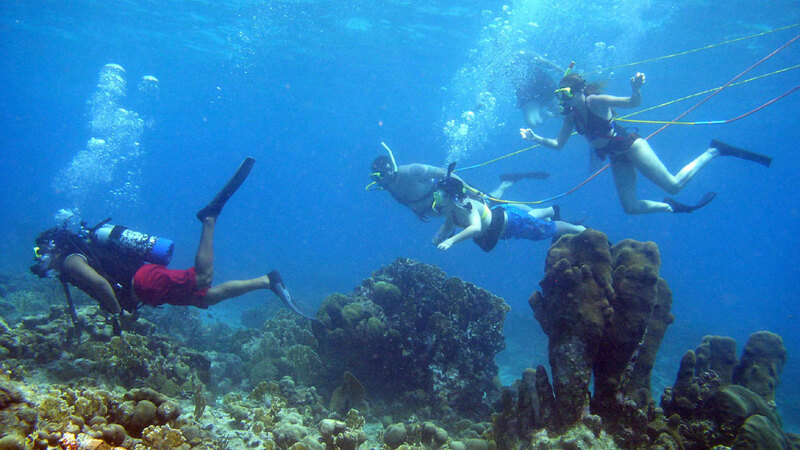 SNUBA® is a wonderful way for Certified Scuba divers to introduce their non-certified family and friends to the wonders beneath the waves!  SNUBA® is a licensed product and program, and is only offered at certified SNUBA® Recreational Centers (SRCs) found throughout the world.  All SRCs adhere to strict licensing requirements, operating procedures and environmental standards. 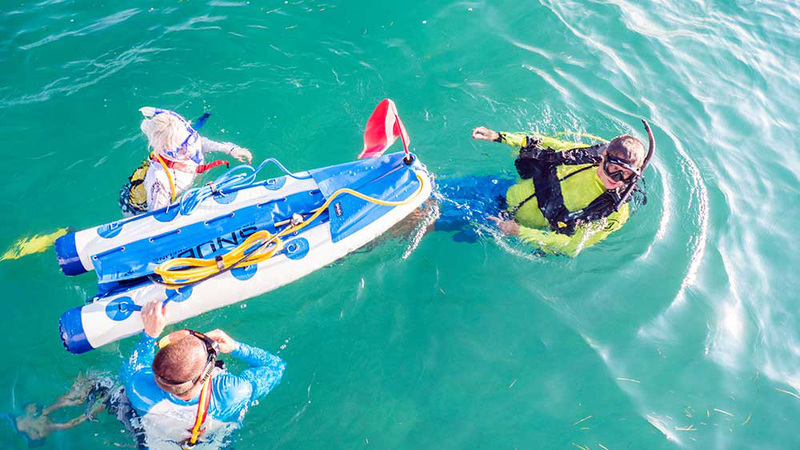 Our certified SNUBA® guides will custom-fit you with a harness, mask, fins and weight belt. You do not have to worry about the air cylinder, as it rests in an inflatable SNUBA® raft at the surface. It connects to your harness with a 20-foot long air hose and will follow you around as you swim! 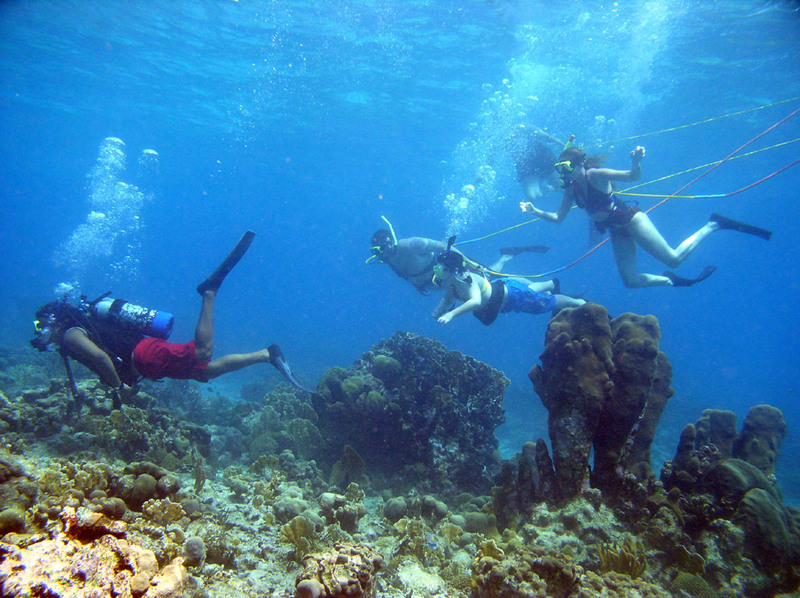 Your personal SNUBA® guide will lead your team’s dive through the ins and outs of our amazing marine ecosystems. Your guide will be sure to point out all the wonders, large and small, taking care to ensure you don’t miss a thing! Have you ever wanted to get your picture taken with a sea turtle? 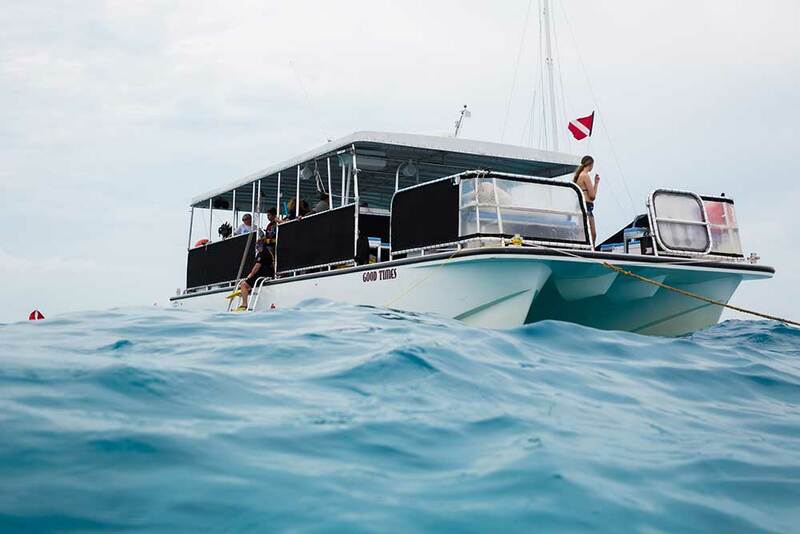 How about your entire family sharing a frame with schools of angelfish and yellowtail snapper? 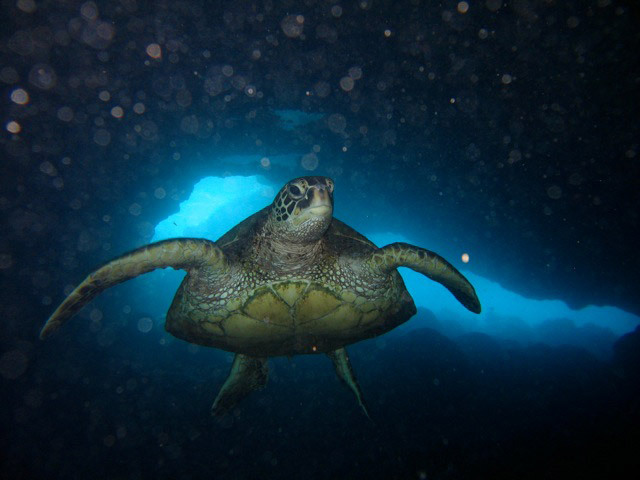 While we can’t guarantee our local turtles will pose for the camera, we can be sure that all of your underwater memories will be documented for all time! 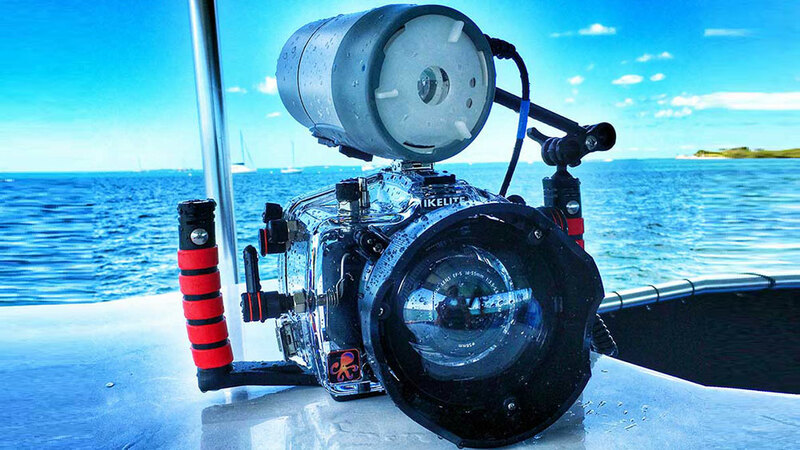 In addition to GoPro-style camera rentals, SNUBA® Key West provides a professional in-water photographer on each and every dive! SNUBA® Key West has some awesome swag to allow our guests to take a little piece of their experience home with them! From our SNUBA® Key West t-shirts, towels, or drink coozies, each are a great way to remember your amazing underwater adventure. SNUBA® Key West is proud to offer custom quotes for charter excursions and any of our SNUBA® and Cocktail Cruise combos. Give us a call at 305-292-4616 and let us know how we can customize a package for you! *SNUBA® Key West proudly offers a 10% Discount to locals and anyone in the military with proper ID. 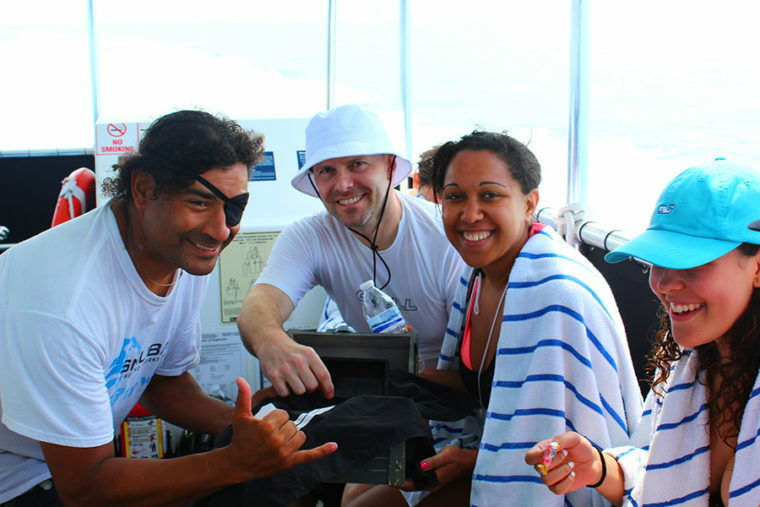 Welcome to bring a snack or lunch (we provide pretzels, candy, water, soda) or alcoholic beverages for after the dive. "Amazing, breathtaking, inspiring, captivating and incredibly beautiful"
"Novices don't need to know how to snorkel to try SNUBA..."
"An exciting way to experience breathing underwater..."
"A new way to experience watery depths, it can't be beat." 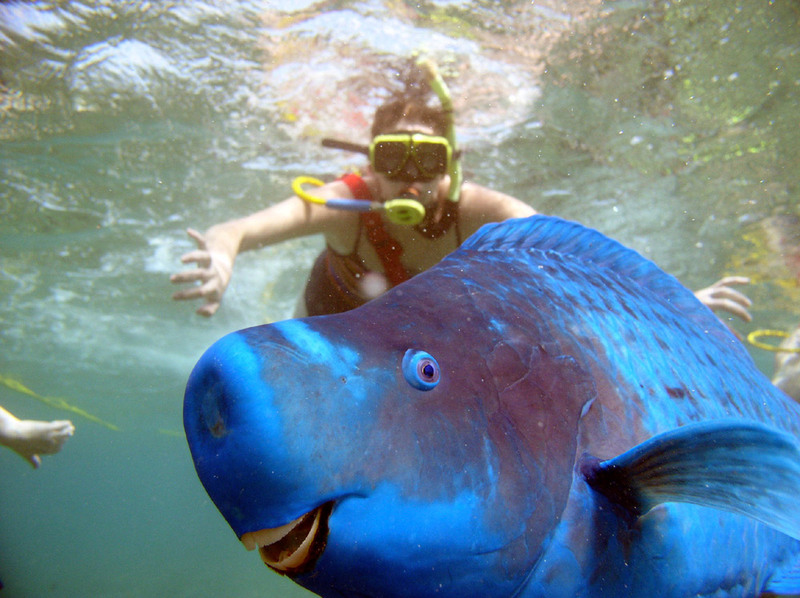 "I had never been snorkeling. Now, as soon as I go home, I'm taking a scuba course!" "SNUBA was better than a resort course because it didn't take all day." 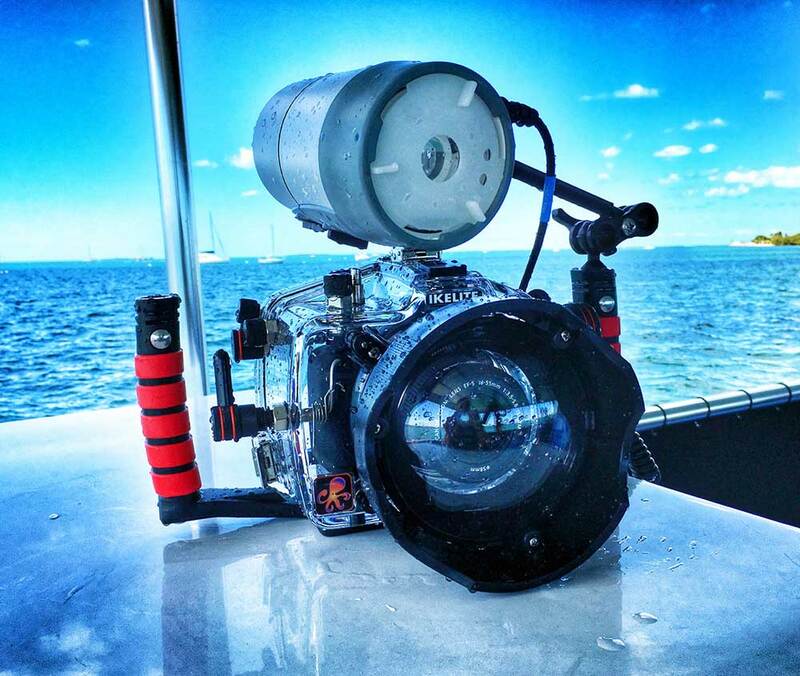 "SNUBA just may be the best underwater advancement since flippers"